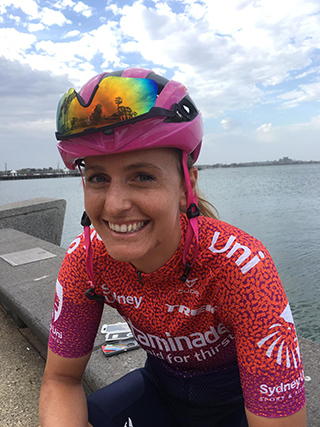 Sydney Uni Women – Staminade cycling team welcomed cyclist Jen Darmody to its list in 2019. Jen has had a great start to the year and we caught up with her to find out more about her love of cycling which is relatively new to her. Jen: I got into cycling when I moved to Sydney because I had to give up riding horses (something I’d been competitive in for a long time). I decided I needed a new sport and my boyfriend put me on a bike. The rest is history. Jen: I feel like I’m still learning this but first, I would say be patient – you can’t skip the hard work and years of dedication that goes in to being great in this sport. Second, you will never be good at something you don’t love so nurture your passion for the sport. Third, surround yourself with like-minded mates who share your love for the sport. Fourth, learn from the people around you – that way you can drastically decrease the number of mistakes you make. Fifth, get dropped, get inspired and aim to hang in longer next time. Staminade: What’s it like being a female athlete in today’s society? Jen: It’s an exciting time. 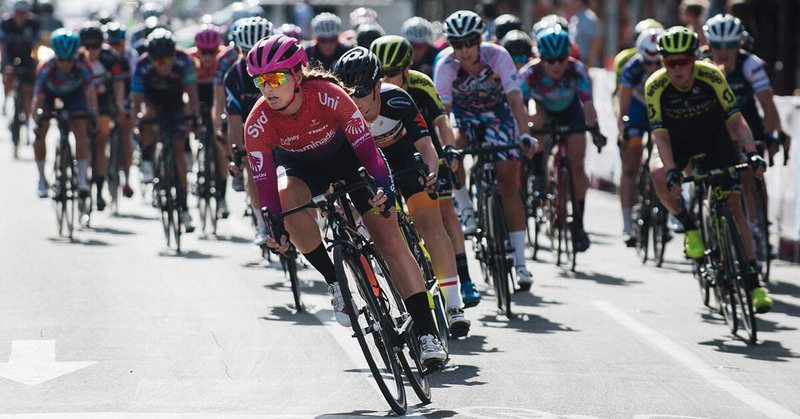 We’re seeing equal prize money, equal race distances and more women’s races across the board. It’s important not to get complacent though and to see yourself as having a very real responsibility to keep the momentum going. If you allow the momentum to be lost it’s possible to go backwards and we shouldn’t forget that. Jen: Being chosen for the Sydney Uni Staminade team. I am relatively new to this sport but last year I made a promise to myself to give it everything to show my potential. That meant really putting myself out of my comfort zone and not getting discouraged for being schooled as a new comer and I think I really nailed that. Jen: To get overseas and race in Europe. I’d love to race on a pro team one day. Jen: Haha Georgie Whitehouse – she’s my team mate but she got back into this sport at the time I was just getting into it. She showed me what true dedication and dreams can achieve. She never let me doubt myself. Thanks mate. Jen: It varies but it always includes a last minute dance to shake the nerves. Jen: I rest on Monday, do a couple of days of efforts mid-week (which are tailored for whatever we’re working on at the time) and supplement that with longer endurance rides. Weekends are for bulk kms and hitting the dirt on the MTB. Jen: That moment when you’re mid effort and you can feel the strength in your body and feel it getting fitter and stronger. I can’t get enough of that feeling. Oh and the coffee afterwards. 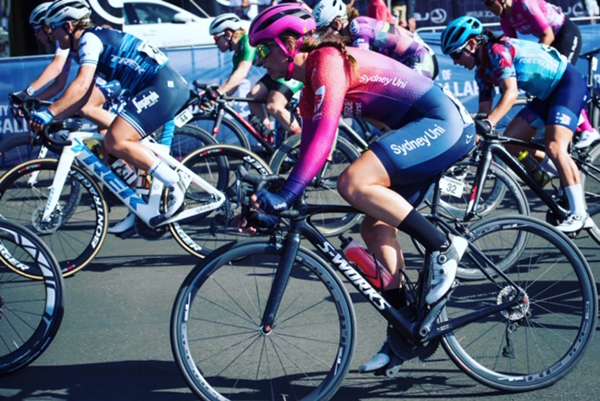 Jen: Orange Blast – Matt Watts (one of our Team dad’s) gave me a bottle at the feedzone at Cadel’s Road Race in January and I felt like getting off my bike and hugging him. 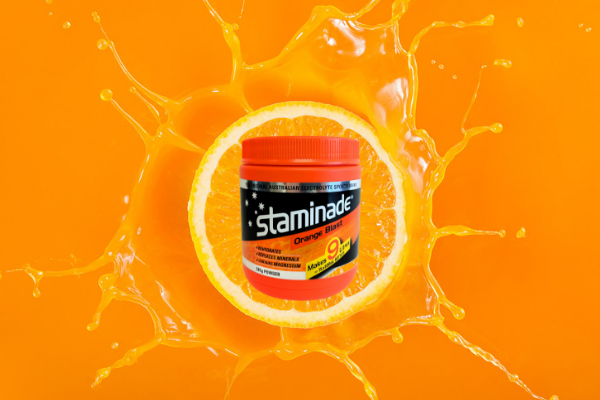 Jen: One thing you learn very quickly in this sport is water just won’t cut it for you in a big race or training session – Staminade not only improves my performance during racing and training but it aids my recovery so my body can do it all over again asap.